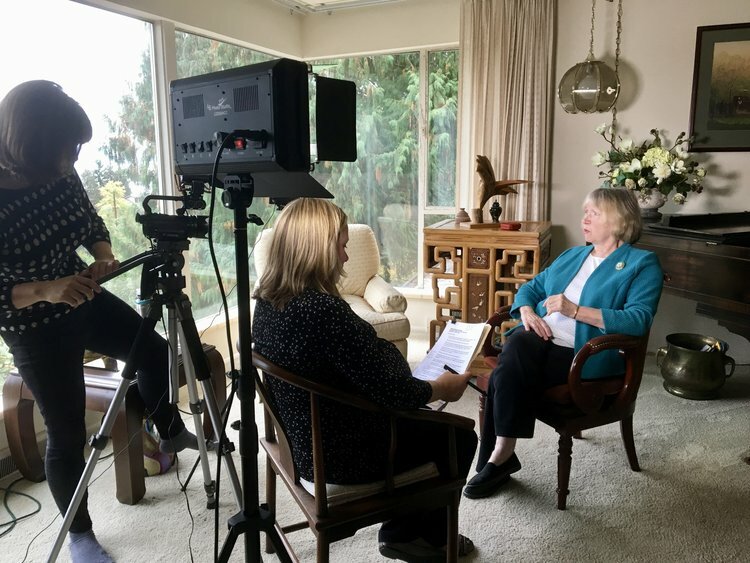 We were recently fortunate enough to film two very inspirational women as part of Northwest Kidney Centers' oral history video project. The project seeks to capture the history of the organization through the voices of key figures who helped make it what it is today. Both women were at the forefront of kidney dialysis innovation here in Seattle. It was a pleasure hearing their stories and learning about their life-saving work. Together with Northwest Kidney Centers, we wrote a list of interview questions that would help jog memories and get the conversation flowing. From there, we conducted the interview, filmed it with our Canon XA10 and edited the footage into a brief, 4-minute video. The completed video will be shared on the client’s website, in their electronic newsletter, and across their various social media channels. To date, we’ve produced 15 videos for the oral history project and are looking forward to filming more in the upcoming months. Check out more of our recent work. Huh? This seems wrong. The shorter the video, the longer it takes? How does that make sense? The answer comes down to the editing process. Editing is a cruel mistress. It forces you to cut fantastic footage—amazing footage that you've grown to love. You have to be brutal with your decision making. The shorter the video, the more brutal you must be. It's agonizing and time-consuming, but most often makes for a better end product. The beauty of video is that you don't have to tell the whole story to understand the whole story. Video makes exposition easy. Instead of explaining what happened next, you can convey the passage of time through a montage of still shots, a brief time-lapse sequence or with a text slide that says "5 months later." Gee whiz. Have you ever embarked on a royalty-free music hunt? It ain't easy! Even if you're willing to spend the big bucks to license a track, finding the perfect song to complement your footage takes patience, determination and time. Lots of time. Sourcing the right backing track always comes down to the "guess and check" method. You may hear a song that seems perfect, but once you place it behind the visuals, it just doesn't fit. The only way to really know if a song works is to test it out behind your footage. Shooting video outside—particularly an interview—has a lot going against it. The neighbor's barking dog, the roar of Boeing 747s overhead, the shifting sun casting crazy shadows over the subject's face—there's a lot to contend with. Yet, despite the hangups, we can't deny that outdoor video shoots make for more interesting, eye-catching footage. The camera loves the outdoors! It soaks up the vivid greens, the warm light and the pleasant movement of wind through the foliage. A loose script is a useful way to stay on track during filming and make sure the client's message comes through. However, sticking too closely to a script can make the video seem corny, overly promotional, stiff and ultimately, not very compelling. The more you can use a subject's own words to tell the story, the more engaging their interview will be. Key to achieving this is asking well thought-out questions and being willing to go wherever the interview takes you. To make sure you get your all-important opening and closing lines, you can ask the subject to rephrase a particular point or say snappy, pre-written sentences. But having them read from a script is not recommended. We're a content marketing agency serving the greater Seattle area. View our recent video work. Over the past decade, the world of late night has changed significantly. The end of the Leno/Letterman era ushered in a new batch of hosts keen to attract the next generation of late-night viewers. What can us content marketers learn from their tactics? What the new era of late night understands is: today’s audiences don’t watch TV like they used to. We get fidgety and start to zone out faster than you can say ‘attention span’. The late-night hosts—particularly Jimmy Fallon, with the others soon following suit—zeroed in on this change in audience behavior and adapted the late-night format into a series of short segments that could be chopped up into easily digestible YouTube clips. From Fallon’s ‘True Confessions’ and ‘Lip Sync Battles’ to Conan’s ‘Alex Trebek Has Gone Insane’, millennials finally had some late night they could sink their teeth into! Let this be a lesson to all us content marketers: for social, viral success (particularly with video), keep it short! Every rule has its exceptions, and when it comes to the brevity rule, John Oliver’s show ‘Last Week Tonight’ is one of them. John Oliver’s success hasn’t, in fact, been due to short, snappy segments. Instead, the former Daily Show correspondent excels in thoroughly-researched presentations on life’s rage-inducing, yet under-reported, controversies. Oliver’s comedic lectures are evidence of another important content marketing lesson: in the clickbait age of Buzzfeed listicles and Upworthy headlines, audiences crave quality. Perhaps best exemplified in his unexpected interview with Edward Snowden, Last Week Tonight gives us the substance we seek. Most impressive is Oliver’s follow-through—his commitment to his viewers. When he founded his ‘Church of Perpetual Exception’, donors were thrilled to discover an actual ‘thank you’ letter in their mailboxes, complete with cartoon sketch of the prophet himself. Just like the web, late night television is a crowded space and audiences aren’t as loyal as they once were. Whereas the generations before us picked a show and stuck with it for sixty years, viewers these days follow the funny wherever it may lead them. For each host to get noticed, cornering their niche—their unique brand of comedy—has been vital. Like a bit of self-deprecation? Conan’s a good bet. How about some silly SNL-style sketches? Fallon’s your man. With Kimmel, you’ve got your mainstream likability. Or there’s always Colbert for some intelligent character comedy. Remember, essential to defining your brand is defining your audience. That’s where your brand story must begin. When presented thoughtfully, user-generated content often does a better job of showcasing your brand than any fancy ad campaign ever could. Content created by real customers is inherently more authentic and relatable. Better yet? It’s free! Jimmy Kimmel tapped into this with his now-iconic ‘Celebrities Read Mean Tweets’ segment. The simple sketch has now been borrowed by everyone from the Drag Race queens to the National Hockey League. And Kimmel’s user-generated success doesn’t stop there. His YouTube challenges—from asking parents to film their kids unwrapping terrible Christmas presents to urging kids to serve their dads breakfast in the shower—are some of his most successful bits to date. Hmm, I think it’s time Kimmel gives his viewers a raise! Finally, there’s something late night has always done well: relevance. With most shows airing every weeknight, late-night writers pull from the day’s hottest news stories to create an entertaining show that matters to viewers right now. Although 'evergreen' content plays an key role in content marketing, fresh, timely content is equally important. From real-time video streaming via Periscope to quick-thinking tweets that capture a cultural moment in time, being agile is crucial for quality content marketing. Essential to this is a short sign-off process, and therefore a trusting relationship between brands and their marketing teams. Read more about our content marketing services and get in touch to find out how your company can benefit from a thoughtful content marketing strategy. From increasingly affordable digital SLRs to ever-improving iPhone cameras, there's never been a better time to be an amateur photographer. But capturing stunning images requires more than high-tech tools. To get truly snazzy snaps, check out these simple tips from photographer in residence, Anna G.
Hint: don't let the goat eat your camera. I may not have coined the phrase, but I will repeat it with vigor. “The best camera is the one that’s with you” - Chase Jarvis. Be it an SLR or an iPhone, you can’t capture that special moment if your camera’s at home. Sure, you remembered to pack your lenses for your trip to the Grand Canyon (where you will no doubt get beautiful pictures), but what about when your three-year-old decided a mud puddle was a bath? Some of my favorite pictures were taken on my phone for just this reason—it was in my pocket when I needed it! Whenever possible, seek out natural light. For the casual photographer, shooting without a flash will almost always improve the photo’s outcome, especially when using a point and shoot or camera phone. Create a bright room by opening blinds and turning on lights. Back-light your subjects by standing with your back to a window. When outdoors, attempt to bounce reflecting light off water or light-colored buildings. The brightness from the natural light will reflect off your foci and create beautiful, natural-looking images. Capture moments as they present themselves to you. Real life is beautiful and funny and surprising. Focus less on making sure every toddler in your PEPS group is smiling and more on preserving the real moment, even if that means faces are turned, babies are crawling away or noses are being picked. Let people be who they are and you’ll be amazed to see how your pictures preserve true memories. Living in an increasingly perfect Pinterest world, it’s easy to lose sight of just how bright real laughter will radiate, so leave the perfectionism behind and focus on reality. Not sure what camera angle is best for a certain shot? Afraid your lighting is too harsh? Get up and move around! Try new positions, experiment with standing on a chair or lying on the ground. Learn as you go by remaining fluid in your approach. As you gain experience, your style and methods will emerge, but until then, change up your angles every few shots until you find what you’re looking for. Every camera has a delete button on it for just these situations, so take advantage of it and shoot away! 5. Live a life worth photographing. No one wants pictures of people slouching on their couch—so get up and get out! You’ll be amazed how photo-worthy situations emerge when you’re out amongst the living. Sunsets, camping trips, birthday parties, festivals, hikes, dinners with friends, neighborhood walks—let life inspire your to find moments worth preserving. 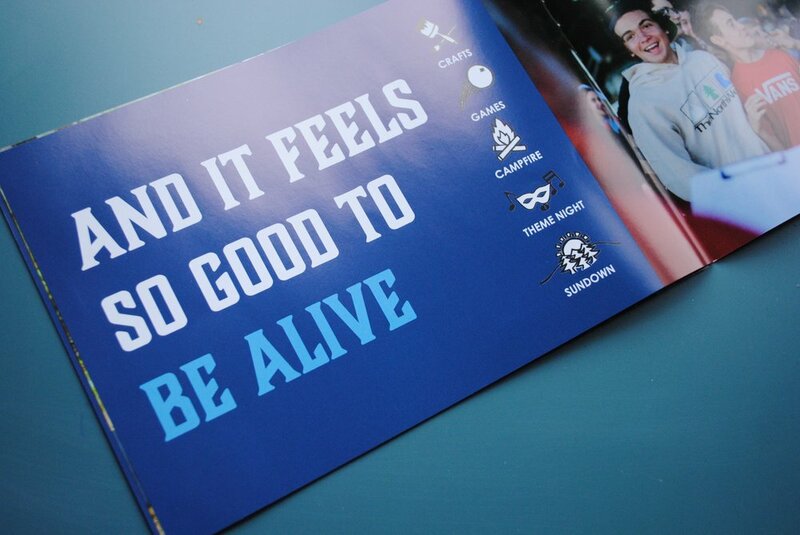 Go live it up, and just remember to take your camera! Including candid photos on your website, in your blog and throughout the content you create will go a long away toward ensuring it's eye-catching, authentic and engaging. Read more about what we offer and get in touch to see how original photography can boost your content strategy. At what point should you reconsider your content sign-off procedure? When it starts to inhibit, rather than promote, creativity. And boy, do I love a referendum. Having just moved back to the US from Scotland, I’m super into them. A massive public vote where every citizen gets his and her say—what could be better than that? It’s democracy in its purest form. I also believe in content marketing that’s of the people, for the people and by the people. The editing process is a fantastic way to collaborate, build on each other’s ideas and create something that’s better than the sum of its parts. But every system has its limits. When a single blog post goes through seven rounds of feedback emails, a new person cc'd each time, you end up with content that’s a shadow of its former self. Like a ghost-written celebrity memoir, it’s safe, watered down and devoid of all personality. The solution? When it comes to content marketing, try thinking more ‘democratic republic’ and less ‘referendum’. You elect your leaders (savvy marketing experts) and place your trust in them to get the job done. Reduce the number of feedback sessions to two. That gives stakeholders one round for initial feedback and then another round to ensure any required changes were made correctly. When they view the content for a third time, it should be in its final, pristine state. Any new ideas or last-minute concerns? Too bad. Too late. You missed the boat. Sorry, not sorry. Why is the HR Director giving feedback on an infographic? What does the Head of Finance have to do with a blog post on cool, new industry trends? Why is the Office Manager cc’d on an email about blogger outreach strategies? Internal stakeholders are an integral part of content marketing, but only if their role is relevant to the content. If you’re writing a product guide, the product manager is a key stakeholder. If you’re producing an HR training video, he’s not. Adjust your stakeholders on a project-by-project basis and only include those that actually play a role in that project's subject matter. Key to successful content marketing is knowing your limitations. Instead of piling into a conference room for a three-hour meeting on a single web page, hire a copywriter who specializes in filtering detailed information into catchy taglines and concise calls-to-action. Working with agencies and contractors that you trust makes your job, and that of your colleagues, easier. It gives you a huge head start on producing high-quality content in a reasonable timeframe. For more content marketing tips, follow us on Twitter, or get in touch about creating a content strategy for your organization.